Built from Reynolds fantastic 725 tube set the Panorama is the ultimate touring machine, light yet robust wheels along with Schwalbe Marathon tyres help keep everything moving correctly, and utilising a Shimano drive system and the ultra-powerful and ultra-reliable TRP Spyre disc brakes this is a machine to behold. Reynolds 725 is a heat-treated, butted CrMo steel tube set which, in the hands of Ridgeback, creates a comfortable, super-resilient, lightweight frame. 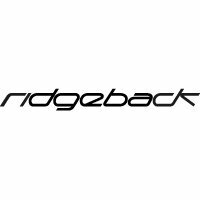 Long distance tourer, rugged commuter or just for day rides, the Ridgeback Panorama is a classic touring bike, made to go the distance in comfort. Built to exacting specifications, the Panorama is made in a size specific geometry in a wide range of sizes to ensure a good fit, stability and sure handling even when fully loaded. Proven reliable Shimano Sora 3x9 STI drivetrain (not just the shifters and mechs but also the chainset, cassette and threaded bottom bracket are Shimano equipped) offers a gear for near-any terrain. Fitted with sturdy four point-fitting pannier rack, full mudguards, 2 bottle cages the Panorama is equally perfect for long tours or short shopping / commuting trips.